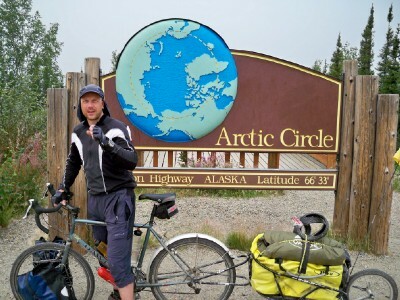 I receive quite a few emails each week asking for advice on the Alaska to Argentina bike ride. 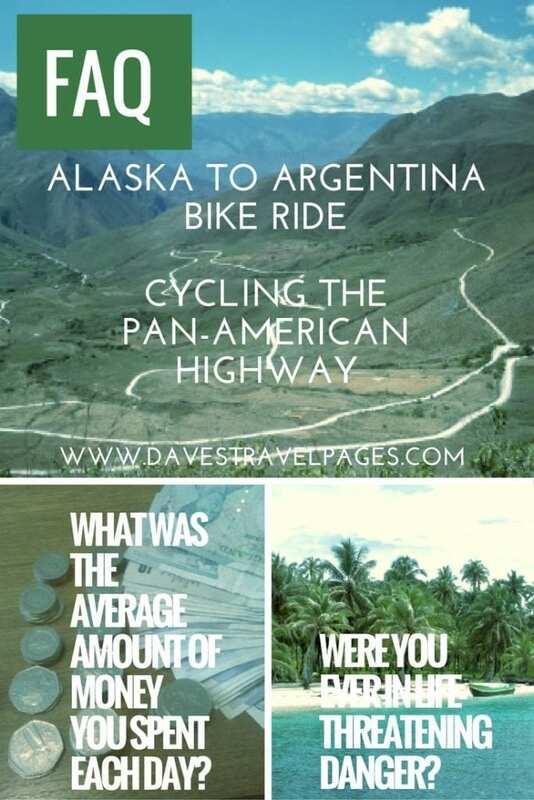 As the most recent email had some great questions, I decided to create some useful information on cycling the Pan-American Highway. Although it is some years ago since I cycled from Alaska to Argentina, I still receive emails from people seeking bicycle touring tips. I'm always happy to answer each one, hoping my experiences will help other people. On this occasion, I thought I would take it a step further. Ben Stiller (no, not that one), who has recently cycled from Akron to Miami, had some great questions. I thought I would use the opportunity to write some useful information on cycling the Pan-American highway. What was the average amount of money you spent each day? I was on a pretty tight budget for this trip. Although I didn't keep an accurate account when on the Alaska to Argentina bike ride itself, I believe I spent $13 a day. My basic costs were on food and accommodation. 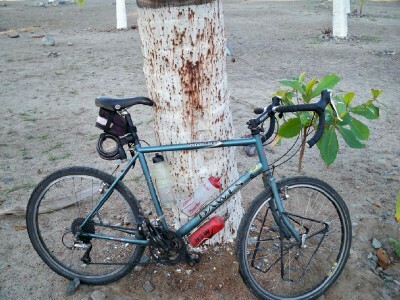 In North America, I mainly camped and also stayed at Warmshowers hosts especially when cycling the Pacific Coast Route. As I hit Central America, rooms in ‘hotels' became a lot cheaper (less than $10 per night. Half that in a lot of cases). The amount also included repairs I had to make on the road. It did not include the cost of my flight back home. I have since written this article – How to cut costs on a bicycle tour. What kind of bike did you use? Or was it multiple bikes? I used one bike during the Alaska to Argentina bike ride. It was a Dawes Sardar which was the best I could afford at the time. It had the basics that I need in an expedition bicycle, which are a steel frame and 26 inch wheels. There are lots of touring bikes out on the market at the moment. I recently reviewed a great handmade British bike – The Stanforth Kibo+. There is a huge market for expedition bicycles in Europe. If you are in the USA, you might find that your options are limited to Surly. How was the cell service out of the country? Is there any at all? I couldn't tell you, as I didn't take a cell phone on this trip! I am led to believe that there is good coverage all over Central and South America. You might even find that mobile data is cheaper in those countries than in North America. My advice here, would be to buy a SIM card in each country you go through. You can also get global SIM cards through Amazon. They are convenient, but I am not sure that they offer great value. How did you get past the Darien Gap? It is not possible to ‘cycle through' the Darien Gap from Panama to Colombia. There are many other options available to get from one country to the other though. All of these options include a boat at some point. Hundreds of travellers make the journey every year without any problems. In fact, one of the routes has become a ‘must do' in Central America. 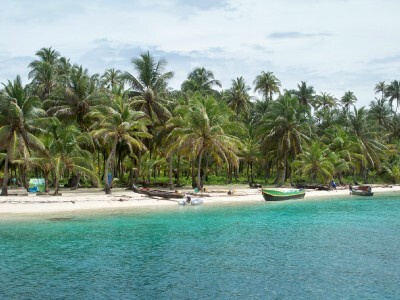 This takes you from the Panama coast to the San Blas islands, where you spend some time enjoying the islands. The boat will then take you on to Cartagena in Colombia. There are many boats and Captains making the trip, some offer a better experience than others. I used the Sailing Koala boat. I believe the Captain has since bought a new vessel, but uses the same name. You can read about my experience here – Sailing from Panama to Colombia on the Sailing Koala. What were any of the major differences when in Canada versus West Coast America versus South America in regard to the society or the people? There were obvious differences in culture and attitude between people, which is a great thing. If we were all the same, the world would be a pretty boring place! It's really difficult to describe in just a short paragraph though, and I don't want to generalise. Suffice to say, that 99.999% of people I interacted with were friendly, curious, and helpful to the crazy guy on the bike! 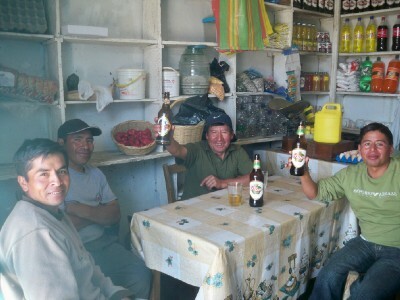 This photo is of me having a beer with the locals in Pallasca, Peru. Tradition dictates that people share the same glass, and pass it around. You can read more about that here – Cycling from Mollepata to Pallasca. Were you ever in life-threatening danger? This is actually quite an interesting question. It is a lot deeper than it first appears. It really depends on a persons attitude to life in general. For example, a couple of times huge lorries came very close to me when cycling. Is that potentially life-threatening or not? 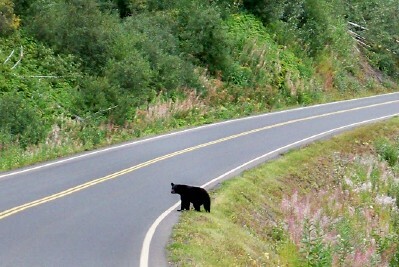 I once camped close to a family of bears on the Alaska to Argentina bike ride. Was that life threatening or not? I can honestly say that I have never felt that ‘Wow, that was the moment I thought I was going to die'. I prefer to think of it as some situations make you feel more alive than others! Physically how taxing was the whole endeavour as the months passed? The most inevitable thing that happens on a long term bicycle tour such as the Alaska to Argentina bike ride, is weight loss. It becomes very difficult, and also a little boring, to be taking in 4000-6000 calories a day. During my recent 3 month bicycle tour from Greece to England, I dropped from 85kgs to 81kgs. This might not sound much, but believe me, I was eating ridiculous amounts every day! My advice here, is to not be afraid to take time off the bike. Take a few days here and there. Plan to take a week out every 4 months. Your body will appreciate it, and you will get to enjoy some of the countries you are cycling through at the same time. Were you ever robbed, mugged, shot at while crossing through South America? In all my travels, I have never been robbed or mugged. I have heard of other people bicycle touring that have had things stolen though. (Having things stolen is different than being robbed). In fact I was more concerned about these things happening to me in the USA than in Central or South America. There are some areas in countries which should be avoided. One notorious stretch is in Peru. Read more about that here – Tips for bicycle touring in Peru. What's the best strategy for crossing deserts? I have cycled across a number of deserts on my travels. The toughest one was when cycling in Sudan. In terms of planning, the most important thing to consider, is how much water you will need. Then you have other considerations, such as navigation and how much weight do you want on your bike. The longest I had to plan for on the Alaska to Argentina bike ride, was 2 days cycling across the salt pans in Bolivia. Why did you not go the entire way to the end? That's easy – I ran out of money! Actually, I probably could have continued right until the end by borrowing some more. However, I was offered a well-paid job back in England, and it was an opportunity I couldn't turn down. I realised that it would help fund the next trips a lot more comfortably. At the time, I was gutted about not finishing the Alaska to Argentina bike ride completely. Now though, I realise it was just another section of my tour through life. By taking the job, I was able to put a more long-term plan in place. This has resulted in a number of opportunities which wouldn't have other wise occurred. These include sailing from Malta to Sicily, cycling from Greece to England, and moving to Greece! I also made a video answering the questions about the Alaska to Argentina bike ride. Check it out below! I’m planning on doing a bike trip from some where in the USA to Columbia. With Mexico, I definitely think there are some areas to avoid, just as there are definitely areas to avoid in cities in the USA, Europe or elsewhere. The vast majority of the people are of course super friendly, and I personally found the country to be safe. I think a lot of it comes down to due diligence and common sense on choosing a route. For the most part, long distance bike tourists are looked on more as a curiosity, so expect lots of conversations about what you are doing and why! The Warmshowers network might be a good place to get some more up to date information, especially from the Mexican hosts . Good luck with your trip, and Happy tailwinds!